The state of Punjab is one of the most interesting parts of the whole Indian sub-continent. The cultural essence, the natural abundance and the people of Punjab makes it the best place to live. Bhangra is the most jovial dance forms of this land. It is the incarnation of the very spirit of this land. 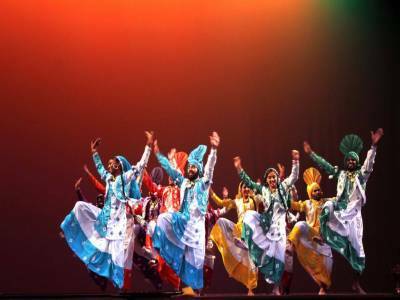 Bhangra is the traditional folk dance of Punjab. People from every sect of the society and from every generation love it, enjoy it and embrace it to the fullest. 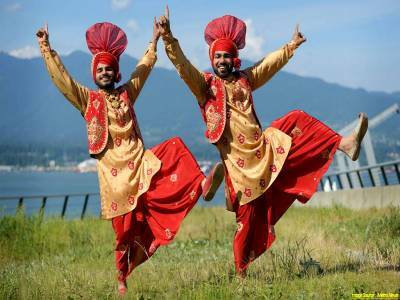 The Bhangra is a folk dance form that has originated since the inception of the Sikhism movement. The religious backlink of the dance makes it even more popular and heartfelt. Actually, the dance form that we see today is the modernized form of the classical Bhangra which emerged with musicals in the 20th century. The Bhangra is a mash up of celebratory enthusiasm. The principal equipment for the rhythm of the dance is mainly the dhol or drum, the chimpta or tongs, the tumbi and the vocals of the people. The dance is however, performed by both men and women with long wooden sticks, hanging barrels and a pair of carved out cans. The dancers rhythmically converge & diverge with the beat during Bhangra and make sound with the objects as well as hand claps. 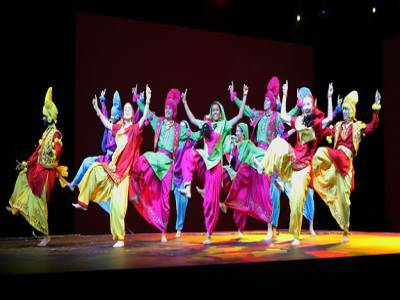 The dancers generally wear kurti, patiala or dhoti and a turban for this dance. The wardrobe is very colorful and vibrant. 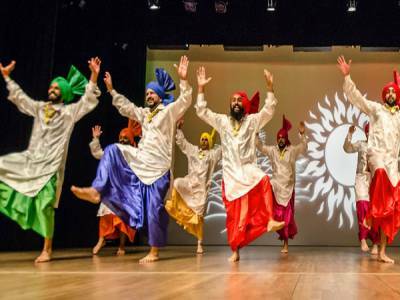 The speed, symmetry and grace of Bhangra make it a people’s dance and anybody can perform it. There are many sub categories of Bhangra namely Gidda, Luddi, Kikli, Jhumar, Dhamal and many more. Bhangra is quite famous throughout India and in abroad also. People from all community perform this dance in weddings, pujas, festivals and carnivals. Everyone just loves the Bhangra of Punjab. 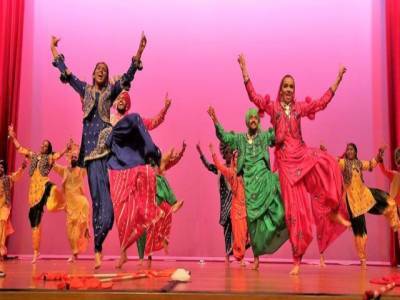 Get quick answers from travelers who visit to Bhangra Folk Dance.